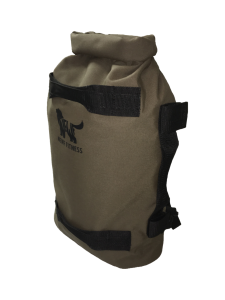 When we say gym bag, sometimes we really want a “gym in a bag.” The Newf Bag is a portable, highly versatile tool perfect for accomplishing workouts and training wherever you may be. The backpack can also be used as a weight sled, suspension trainer or sandbag with capable exercises that are limited only by your imagination. Bag weight can be adjusted and the bag itself can support over 385 pounds of hanging weight. Made of military-grade 1,000 Denier Cordura, it’s a tough bag that can handle whatever you throw at it. $149.00. Many fitness junkies love peanut butter; it provides good protein and unsaturated fats necessary for building the strength, speed and endurance necessary for competition. Teddie Natural Peanut Butter is all peanuts with a low salt content and no extra chemicals, oils or anything else found in most peanut butters. Gluten-free, non-GMO, vegan, kosher and made in the U.S., it’s a basic healthy option perfect for a pre/post workout snack or treat. It comes in a variety of styles selling between $3-5 and can be purchased online or found in many grocery stores. Important for athletes is a tool for muscle recovery. 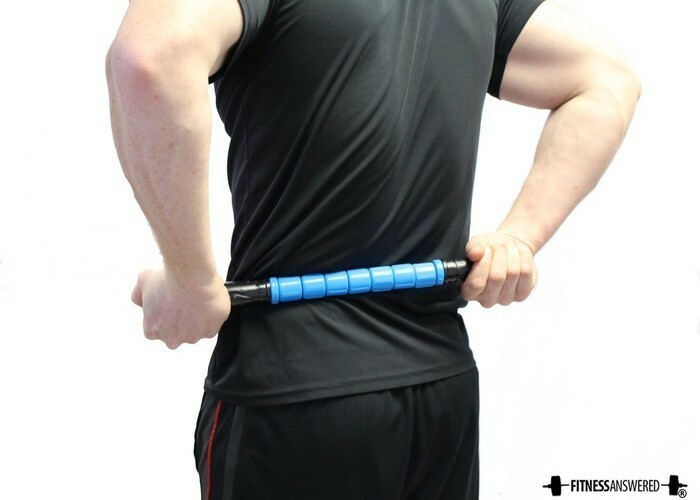 The Muscle Stick Original Massage Roller is like a rolling pin for your muscles, useful for self-myofascial release (self massage) to help you enhance your recovery. The Muscle Stick helps release tension on tight muscles, increases blood flow, massages out tight spots and helps alleviate muscle soreness. A small lightweight device, it’s very versatile and easy to use at the gym, at home or elsewhere. Available in six different colors, it normally runs for $34.99 but save 20 percent off coupon code: 20OFFFAT. Incorporating stability training into any training program is very beneficial to engage stabilizer and assister muscles that are often neglected by isolation exercises. Incorporating the portable electricity-free StrongBoard Balance Board into your program can increase muscle activation and calorie burn needed to help you achieve maximum physical potential within your fitness level. Lightweight, small and easy to use in many different settings the Strongboard Balance Board is versatile for many different exercises and even adds an extra challenge to some of your favorites. $269.00-289.00 based on color choice.